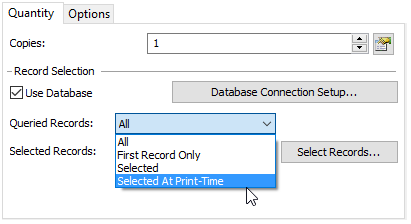 When you need the ability to provide filter criteria at print-time, you can use the Database Connection Setup dialog to create a query prompt that appears each time the document is printed, allowing the user to enter criteria for a database search. Only records that match the entered text will be printed. 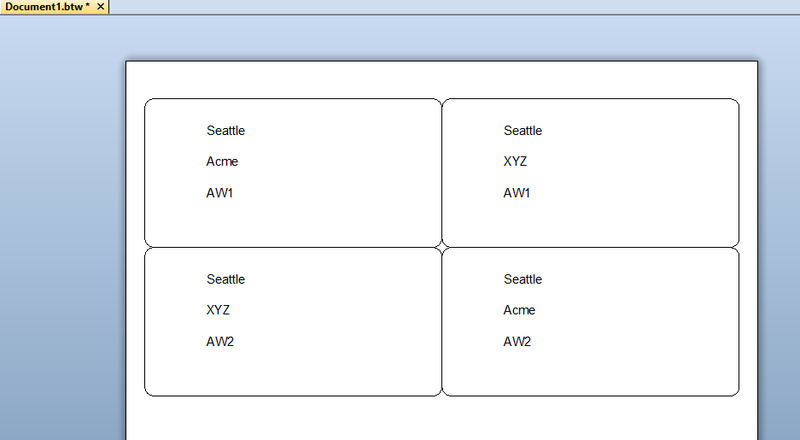 Query prompts are useful when you want the print operator to be able to print specific filtered records "on the fly." For example, suppose you run a shipping company where you want to give the print operator the ability to print shipping labels based on the city of the recipient. 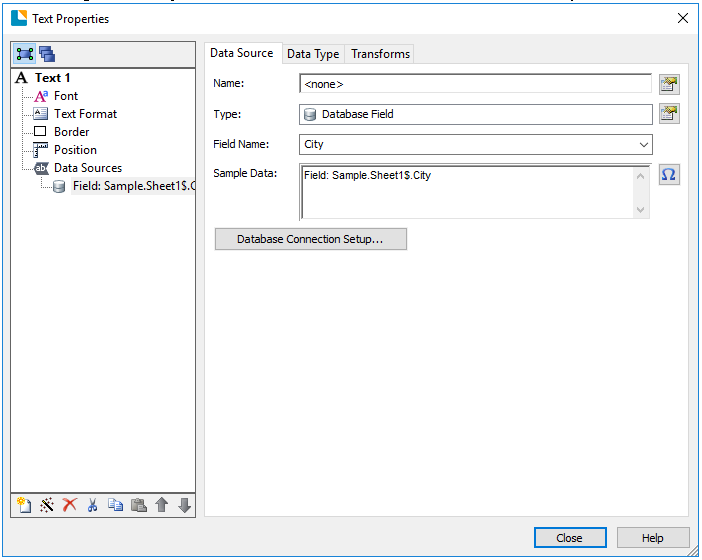 To do this, you would use the Filter property page of the Database Setup dialog to create a filter condition where the "City" field from the database equals a query prompt. 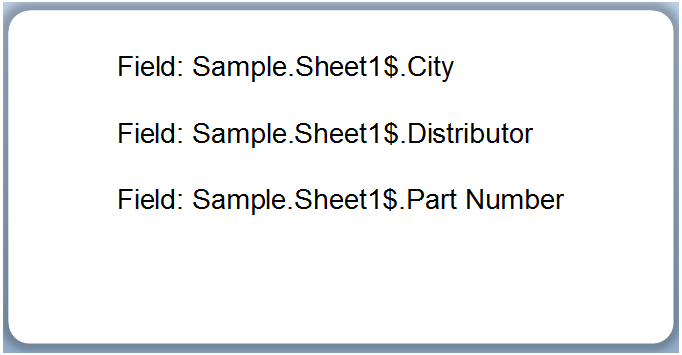 At print-time, a query prompt dialog is then displayed, allowing the print operator to enter the city name. Only records containing City fields that equal the name of the entered city will be printed. 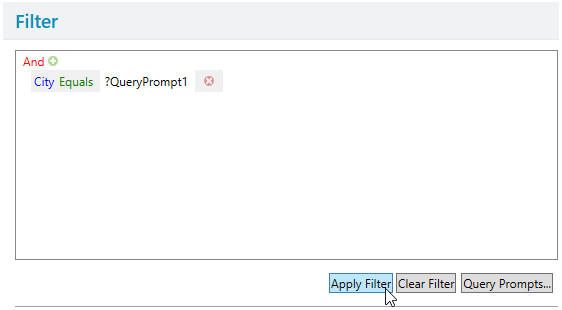 If you aren't familiar with filtering data in BarTender, then you will want to review the support articles Introduction to selecting records and Using a basic filter. 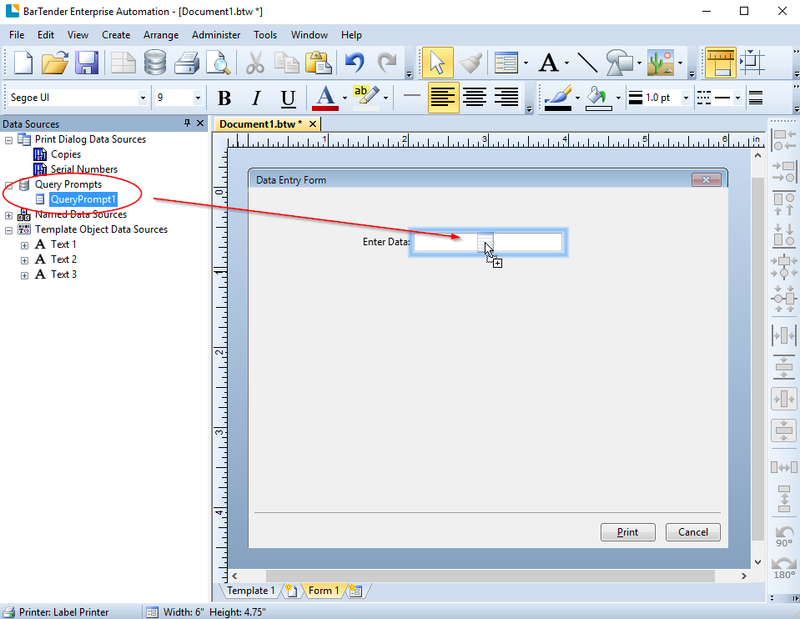 Create a new BarTender document and create a database connection to Sample.xlsx. 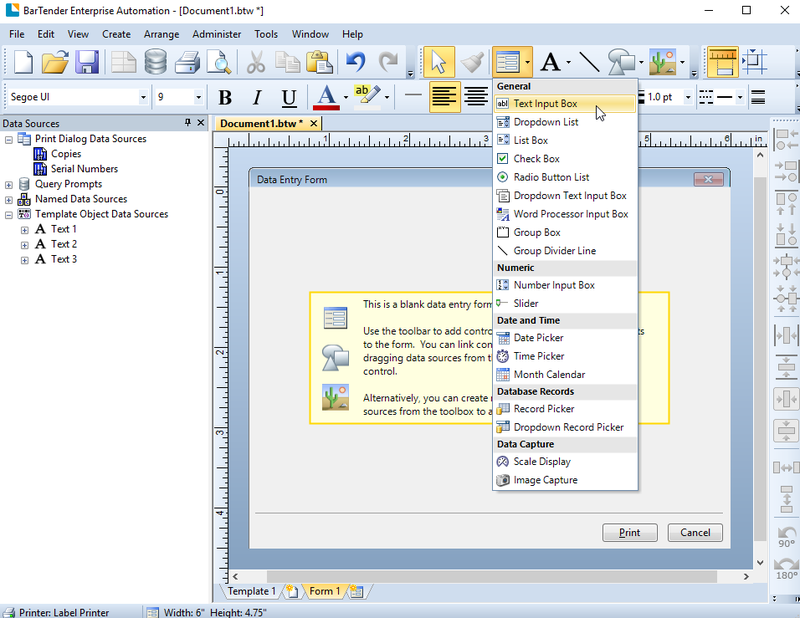 Please review Getting started with database connections for help creating the database connection. 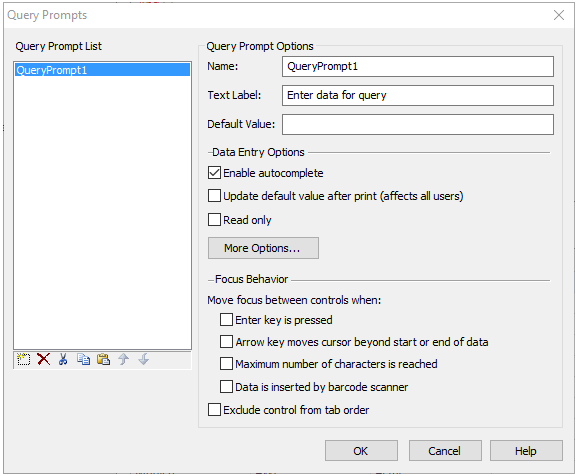 Click and select New Query Prompt..
You should test your Query Prompt to make sure you get the expected results. 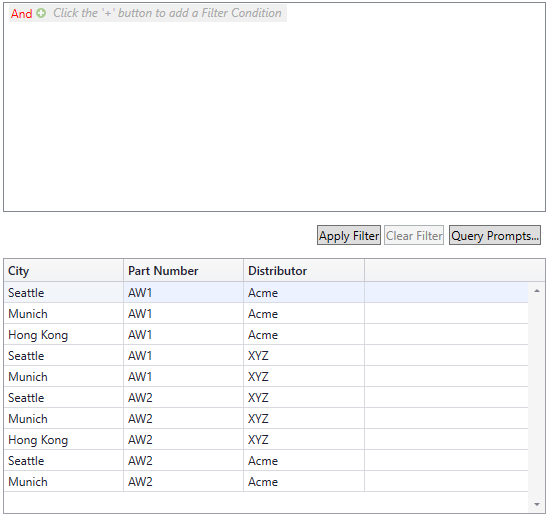 You can use the Query Prompt as a filter, and choose specific records to print after the filter records are returned. 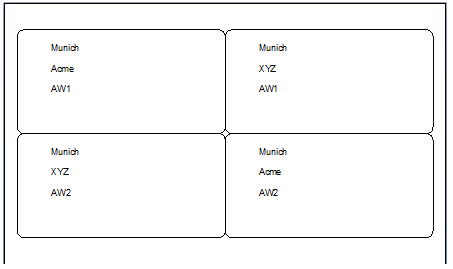 You can now choose which of the Munich records to print. Uncheck the boxes next to records 3 and 4. A query can be linked to any form control. 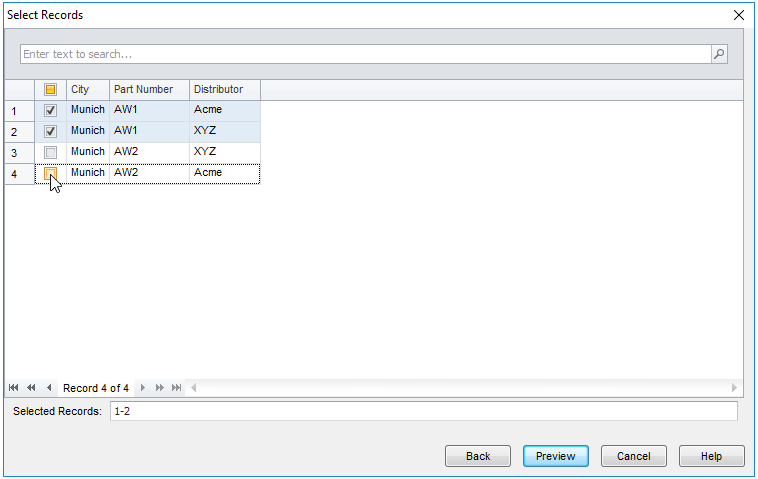 Linking a query to a form control is the same process regardless of which form control type is used. 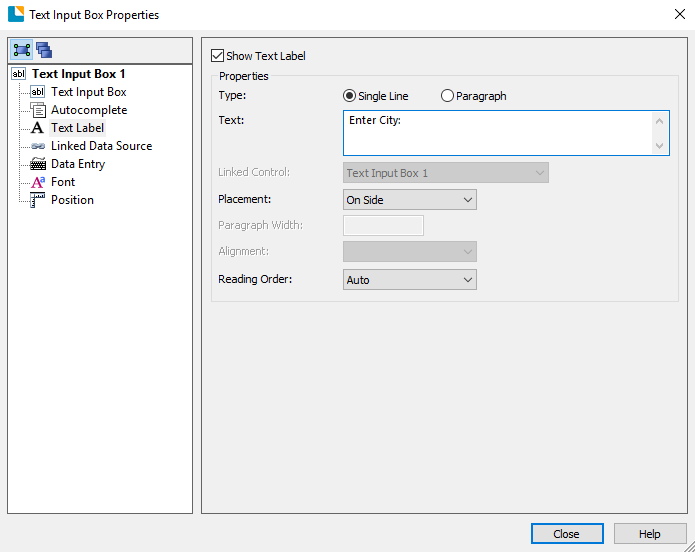 This example will show how to link a query to a text input box.